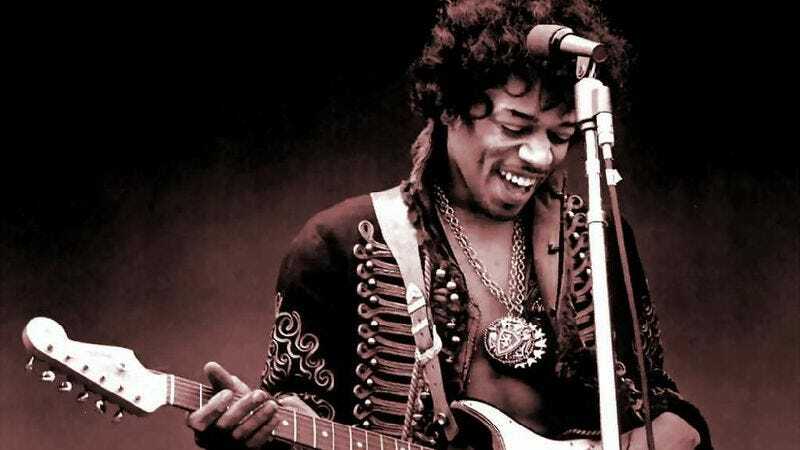 Long before Tupac, the posthumously released music market was dominated by Jimi Hendrix, who had seemingly every scrap of outtakes and live recordings repurposed into new albums—some legit, some less so. Now, after a long layoff spent just being dead, Hendrix will be returning to the racks on March 9th with Valleys Of Neptune, an authorized collection of rarities largely taken from Hendrix's final sessions (some of which ultimately became the 1997 album First Rays Of The New Rising Sun). The Hendrix estate will also be re-releasing Hendrix's three completed albums plus First Rays on March 9th in new deluxe editions that include DVDs of previously unreleased film footage. So… he does live today.